Home / Payment help / How can I lower my bill? 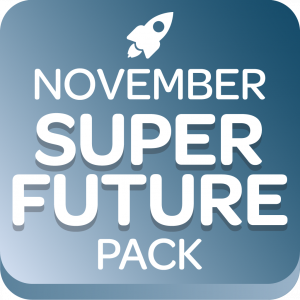 If you are unable to pay the outstanding amount set out in your ‘Account Review coming’ email by the date stated you can still lock in the ‘Power Saver’ discount using the “buy now, and pay later” option. You can find more information on this here. The best way to lower your bills is to lower your energy consumption - the less energy you use the less you have to pay! We also understand that this is easier said than done and encourage you to reduce energy where you practically can. The first step in reducing your bills is to understand the energy usage in your home. 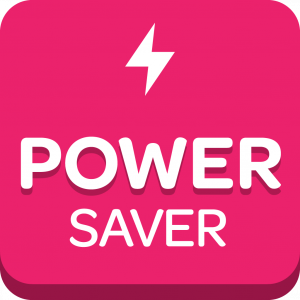 At Powershop we provide you with a range of usage tools in your online account and smartphone application. 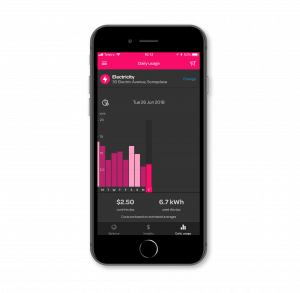 Daily usage - The pink bar graph shows your daily electricity usage, cost per day and kilowatt hours usage at the bottom of the screen. The smaller pink bar graph below the blue bar graph shows you what time of the day you are using your electricity. HINT: If you notice an unusually high spike in electricity usage at certain times, think of what appliances you might have turned on and how you might better use it. This graph allows you to see your daily electricity usage and what your average usage is over a period of time. You can adjust the period you are looking at using the black slider at the top of the graph. 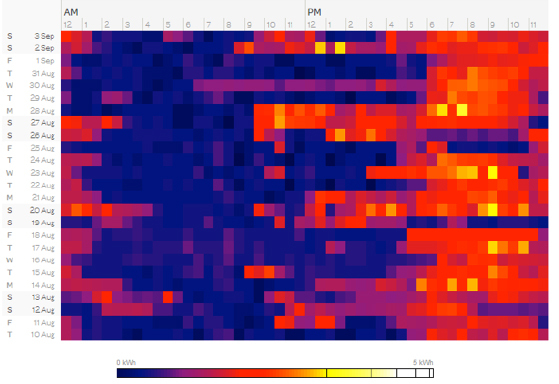 This heat map shows you how much electricity you are using throughout the day. The lighter the shade, the more electricity being used at that time, conversely the darker the shade the less electricity is being used. HINT: If you notice an unusually high spike in electricity usage at certain times, think of what appliances you might have turned on and how you might better use it. Once you understand more about your energy usage using the above tools, you might be able to reduce your energy usage and more importantly reduce your bills! For more information on understanding your smart meter data you can visit our blog. If you do not have a smart meter and would like to have one installed please register your interest here. You can also use our handy energy saving tips to better understand how much electricity certain appliances use. The Victoria Energy Saver's website also has some simple tips on reducing consumption. We will always aim to use actual electricity meter data to bill you where available, but sometimes we cannot use actual meter data and we have to estimate your electricity usage. If you do not have a smart meter (many residents in NSW and QLD) your electricity meter is read every 3 months. 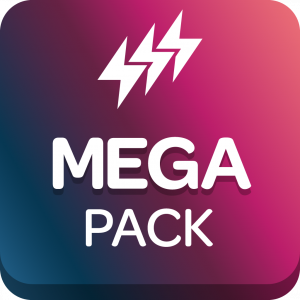 As Powershop bills monthly you will receive two estimated bills before an actual bill. If you think the estimated bill is not right, please let us know. If you do not have a smart meter and you’re receiving bills based on estimated reads, we encourage you to enter your own meter reading into your Powershop account to ensure that your Account Review reflects what you have used throughout the month. For more information on entering your meter reading, please visit our blog. Are my appliances working properly? If after having a good look at your energy consumption you notice that something is not right, it could be due to an appliance not working as efficiently as it should. Older or faulty appliances often use more energy. Depending on where you live, there are different schemes in place to assist you in purchasing more energy efficient appliances at a lower cost. If after having a good look at your energy consumption you notice that something is not right, it could be due to an appliance not working as efficiently as it should. Older or faulty appliances often use more energy. Depending on where you live, there are different schemes in place to assist you in purchasing more energy efficient appliances at a lower cost. Your Energy Savings website provides information on loan schemes customers can use to buy a new appliance. This is an Australia wide scheme. Victorian customers: The Victorian Energy Saver website provides information on appliance replacement programs. NSW customers: The NSW government operates an appliance replacement program. To apply for or for more information please visit their website. QLD customers: Queensland customers in the Energex distribution network can access financial incentives of up to $400 for purchasing and installing PeakSmart air conditioner/s or converting an existing air conditioner/s to PeakSmart. Please visit their website for more information. South Australian customers: The SA Government website has a wide range of tips to help lower energy use. You can see the information here. Am I on the best energy tariff? Selecting the right energy tariff for your usage patterns and lifestyle can assist you in reducing the amount of your bill. Time of Use tariffs provide you lower energy rates in the times of the day where there is less demand for energy. This means that you can run your energy intensive appliances like your dishwasher or washing machine overnight when it is cheaper. To discuss the right tariff for you, give us a call and we will do a calculation for you. Information on the different pricing structures and rates can be found on our website.